This MS Awareness Week (22-28 April), the MS Trust is calling on people with MS to pop on their pumps and introduce a little activity – big or small – into their daily routine. Staying active doesn’t need to mean running marathons or going to the gym, it’s about doing it at your own level, at your own pace. Doing it YOUR way. 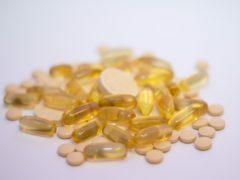 Vitamin D can “dramatically” affect the immune system and could make people less susceptible to diseases such as multiple sclerosis, scientists have discovered. Actress Selma Blair has said she cried with relief when she was diagnosed with multiple sclerosis (MS). A man diagnosed with multiple sclerosis has described living with the condition – and revealed how he sometimes struggles just to get out of bed. 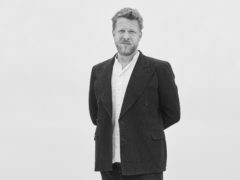 Mumford and Sons bassist Ted Dwane has spoken of the loneliness of suffering from multiple sclerosis (MS) after being inspired to help create an exhibition on the subject by his mother, who has the condition. Prime Minister Theresa May has personally thanked volunteers for the MS Society – including Lillian Malcolm from Dundee – at a special reception at Downing Street. Actress Selma Blair has revealed she has been diagnosed with multiple sclerosis (MS). People living with multiple sclerosis (MS) have been invited to take part in a special event. A woman is set to undergo “life-changing” treatment in the hope of putting her MS on hold for good. 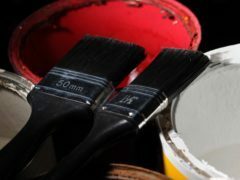 Inhaling paint and varnish fumes may increase the risk of multiple sclerosis, research has shown. Wow, the detail in this cross-stitch tapestry is truly amazing. Following a diagnosis of multiple sclerosis, Sarah Anderson spent five months completing the artwork immortalising Dundee Royal Infirmary in 1997. Sarah can be seen showing the piece to Dr Ken Morley and Dr Malcolm MacLean who had supported her through her illness. A University of Dundee student whose parents were both struck with multiple sclerosis (MS) during her childhood will undertake a 23-mile Kiltwalk this month in an effort to ease the burden for others affected by the illness. A local woman says having multiple sclerosis has made her “a better person”. Widely-prescribed anti-cholesterol drugs are being tested to see whether they could be used to help treat multiple sclerosis (MS). “I remember thinking, ‘this is it, this is the end for me’.